The South Loop frames Chicago at its most beautiful. 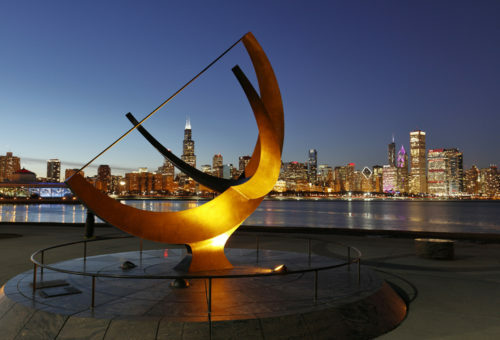 It borders a large swath of Grant Park (known as Chicago’s front yard), extends from iconic Buckingham Fountain to McCormick Place, and touches the Museum Campus and dazzling Northerly Island. After hours: Two Museum Campus gems, the Adler Planetarium and the Shedd Aquarium, regularly host adult-geared gatherings after normal facility hours. Adler After Dark is held the third Thursday of each month and features access to Adler’s exhibits and galleries, sky shows in each of its three theaters, live entertainment, and a cash bar. Shedd After Hours varies its themes — 2019 events include a game night, penguin party and salsa night — which also has the Shedd’s gorgeous skyline views, food and cocktails, and of course the resident beluga whales and more. Michelin multiples: Eighteen Chicago restaurants received one Michelin star in 2019. One got three stars. Among the three that received a two-star rating (representing “excellent cooking, worth a detour”) is Acadia, a Wabash Avenue gem where the food is described by the venerable guide as “ambitious, precise and deliciously technical.” With interior spaces as sophisticated as its menu, this is a place for very special moments. Dinner and a show: Sometimes, holding hands in a darkened theater is all you need. If you need that — plus deluxe memory foam chairs in a VIP 21-plus reserved seating section; 4K projection; a lobby lounge with cocktails, street tacos and dessert; and 17 screens from which to choose — check out Chicago Showplace Icon at Roosevelt Collections. 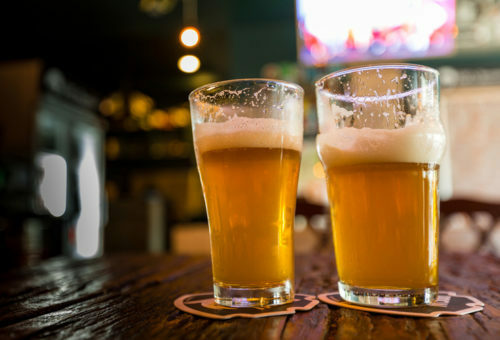 Brews for two: Many of the South Loop’s former commercial and manufacturing spaces have been converted for other uses. One such area is the Motor Row District. between 14th and 24th streets along Michigan Avenue. This is where, among the lofts taking residence where Chicago’s earliest car dealerships once flourished, two microbreweries have established roots. Vice District Brewing, specializing in fresh craft ales, is especially micro with its intimate taproom at 14th and Michigan. Motor Row Brewing, at 23rd and Michigan, is a bit bigger, favoring live blues over Vice’s collection of board games. At both, dogs are welcome and you can bring your own food. Vintage luxury, modern amenities: If you’re interested in spending the night with a romantic view of the park and the lake beyond, there’s always the Chicago Hilton at Michigan and Balbo. The largest hotel in the world when it opened in 1927, it later served as U.S. Army classrooms and barracks before being bought by Conrad Hilton after World War II. The hotelier later increased room sizes and completed a $150 million renovation in 2017. Then there’s the neighboring Blackstone Hotel, on the north side of Balbo, which was built in 1910 and hosted the 1920 Republican National Convention. After undergoing a major architectural renovation in 2008, it was acquired in 2017 by Marriott’s Autograph Collection Hotels and refreshed again with a luxe makeover. Its tapas restaurant, Mercat a la Planxa, is considered one of the city’s best. Fun and games: If you’re looking for a little more on-trend action, book a private session at Ragnarok Axe Throwing or Fox in a Box. At the former, located at 410 S. Michigan, you’ll be instructed in the fine art of hurling 1½ pounds of wood and sharpened steel at a wooden target. There might be Viking helmets to pose in, as well. The latter, at 47 W. Polk, bills itself as Chicago’s No. 1 escape room, offering multiple immersive escape experiences for two to six participants — so maybe that one’s for double date night. Dancing dates: The name might be too much pressure for a new romance, but Windy City Wedding Dance has a wonderful location — 410 S. Michigan Ave. — and a wide array of options that will have you in your partner’s arms all night. 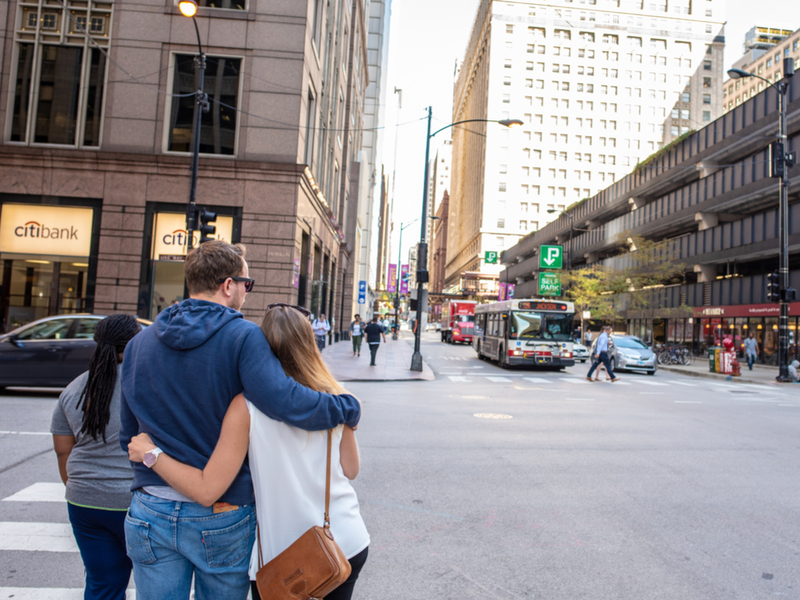 From beginning salsa and ballroom classes to private lessons teaching customized wedding choreography, a visit to Windy City could be the date night that launches a lifetime. What’s your flavor? : Whether it’s blues, jazz or rock, the South Loop has great venues for sharing a table, a drink and your favorite music. Buddy Guy’s Legends (700 S. Wabash), named after the guitarist who inspired Jimi Hendrix and Stevie Ray Vaughan alike, covers the blues. Jazz Showcase (806 S. Plymouth Court) is a 170-seat venue that has been featuring jazz players of renown since 1947. Reggies Chicago (2105 S. State) brings national and local rock acts to stages in two gritty rooms: Reggies Music Joint, a bar and grill; and Reggies Rock Club, a standing-room concert venue. Live music and cocktails: M Lounge might get some pushback over its claim as the South Loop’s premier live music lounge, but this 1520 S. Wabash spot is an unquestionable chic urban oasis for specialty cocktails and fine spirits. Jazz, blues and R&B are featured Tuesdays and Wednesdays, while DJs spin on the weekends. Grab a couch, or a seat at the long walnut bar, and feel the exceedingly cool vibe. Nosh with stosh: After dinner and a stroll, why not cap the evening with something sweet for your sweetie? Stan’s Donuts delivers the doughy goods — perhaps a lemon pistachio old fashioned, a caramel marshmallow pocket or a beignet pair — in kitschy comfort. Or, if the evening goes really well, you can dash off to the decadent donut maker’s 26 E. Roosevelt location and return with a box before your darling wakes up on the morning after date night. Among the many joys of life in the South Loop is that it easily affords access to so many experiences — the Lakefront Trail; all manner of shows at McCormick Place; quick visits to neighboring gems such as Chinatown, Little Italy, Latin-laced Pilsen and Greektown. All you really need for a great date night is someone with whom to share the adventure.